GOON preserves the precious skin of your baby, from their first moments through their transition to potty training. Each active, healthy childhood is filled with unexpected surprises. GOON soft and gentle products promote clean, healthy skin, moment to moment. You can trust your baby's skin is dry and protected. Ultra-dry absorbent material keeps both its surface and your baby's bottom dry. 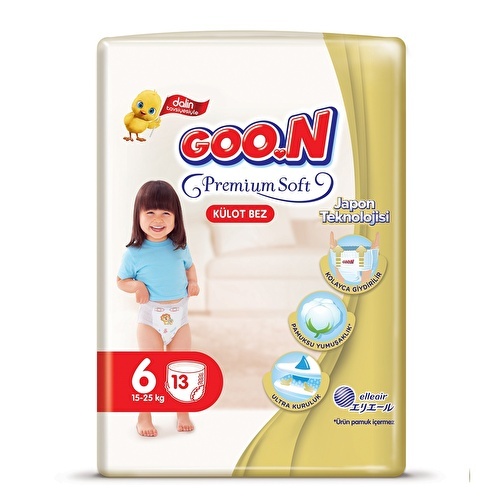 GOON's dry surface sheet keeps wetness away from the skin, because its design prevents moisture already absorbed inside the diaper from being reintroduced back towards your babys skin.